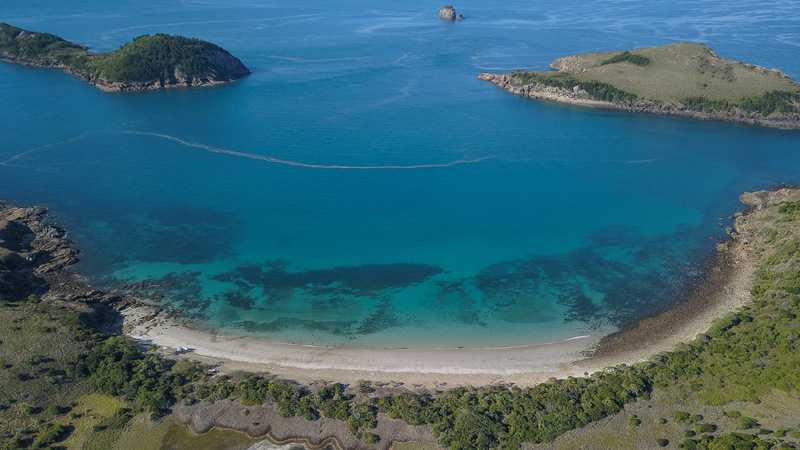 “Thanks to funding from Dalrymple Bay Coal Terminal, we finally have a baseline of the condition of water quality, coral reefs and seagrass meadows in the southern inshore reporting area of the report card (south of Carmila). “Some absolutely stunning coral aggregations have been documented via in-water surveys and using a drone. Permanent monitoring sites have been recommended for a number of island sites in the inshore and offshore marine areas of this region including Temple, Aquila, Henderson, Connor, Pine Peak and Middle Percy Islands. For seagrass, some substantial meadows were documented from the air and via on-water surveys. Fascinatingly, dugong feeding trails were present in many of the meadows surveyed. 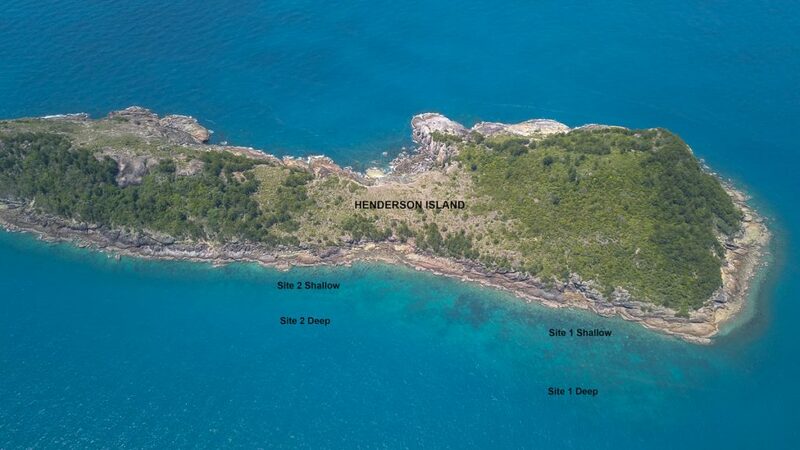 Meadows at Carmila and Flock Pigeon Island have been recommended as permanent monitoring sites for this project. We are awaiting the results of the water quality assessment undertaken at the same time as the coral and seagrass assessments, which will paint a more complete picture of ecosystem health in this sparsely monitored part of our region. ABOVE: Bay on Digby with Henderson left and Keelan right. ABOVE: Henderson Island coral sites.